Coastal Home Inspectors has been providing you the best Home Inspection Bonita Springs FL services in Bonita Springs FL from many years. We’re professional and certified and experienced home inspectors to inspect your home from all of its structural and logical aspects, and give you important information regarding the defected items of your desired home. We reduce your purchase risks and help you in making a confident decision about the final purchase of your home. 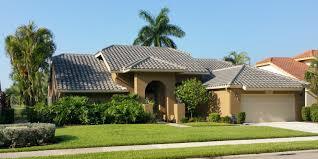 So hiring a home inspector will give you a complete satisfaction and peace of mind regarding your home. If you’re going to buy a home in Bonita Springs FL, the home inspection is probably the only essential step toward your dream home. Coastal Home Inspectors offers you the Home Inspection Bonita Springs FL services in Bonita springs FL, under the assistance of our trained and licensed home inspectors. They inspect your home thoroughly and give you important information about your desired home that you need to make an informed decision. Buying a home in Bonita springs FL is one of the biggest investments, so having a home inspection before signing the final agreement of purchase can protect you from any disaster. At Coastal Home Inspectors, we examine all items of your home like exteriors including doors, wall, floors, ceiling, kitchens, baths, garages, lawns, balconies etc. After inspecting the exteriors, Our Inspectors enter the home to inspect its internal structures like air conditioning system, water heating/cooling system, plumbing system, electrical system and all other appliances that a home can hold. We make sure that your selected home doesn’t have any serious problem in it. By having the information about each and everything of your home you can ask the seller for replacement of defected components or reduction in actual price. We’ve proper training of home inspections to examine any kind of your home very effectively. We examine each and every component of your home and give you accurate information that you need to make a confident decision before signing the dotted line of final agreement. We take a great care of your needs and concerns. In thorough Home Inspection Bonita Springs FL service, you can ask your questions from our home inspectors to get their professional opinion on your dream home. They will not only answer your questions but also give you important tips to maintain your home in good condition for a long time in future. After completing the home inspections, you’re provided with a home inspection report of our findings in which you’re informed about the defected items and other safety and health issues observed at your home. Using the information of home inspection report it becomes very easy for you to make an informed decision about the final purchase of the home with a peace of mind. At Coastal Home Inspectors, we make your dreams come true of having your own home in Bonita springs FL without any surprise issues to face. So choosing Coastal Home Inspectors will the best choice of yours that can make a difference between good investment and the bad investment of buying a home with major defects in it.